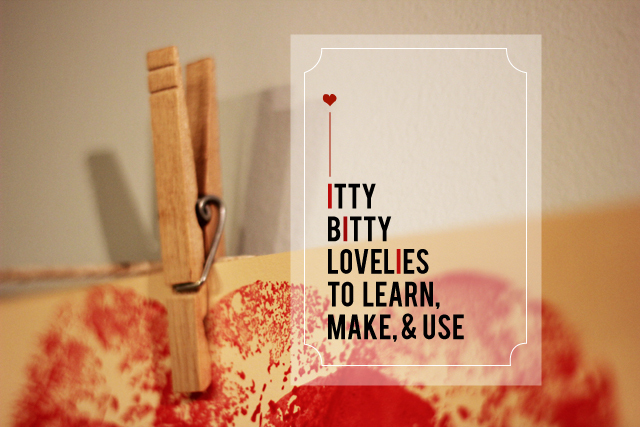 I'm delighted to show you a simple, quick, low budget project that you (or your kids or grandma or neighbors) can craft in minutes and enjoy for weeks to come. Last week I joined some other great bloggers to put together baggies of crafts for the Happy Craft Cart that St. Jude's Research Hospital offers its patients. Hoping for something festive and fun, I thought rainbows. 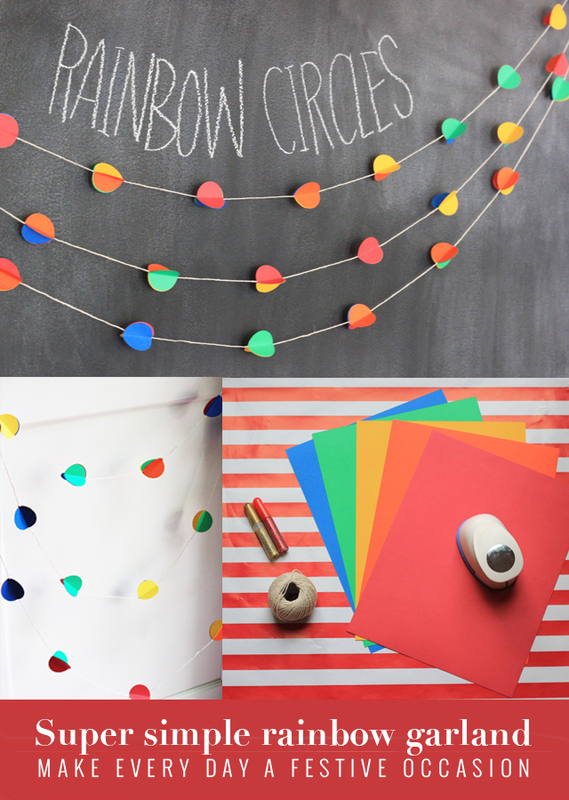 How about a Rainbow Circle Garland?! 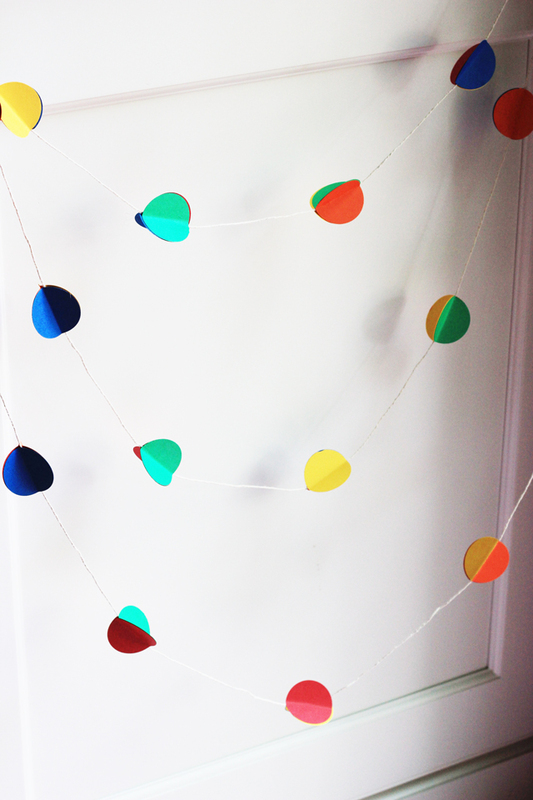 Step One: Decide how long you want your garland or strand (if you want to hang them from a door frame or above a window). Cut twine. Step Two: Punch out circles. Each circle cluster is a triad so you'll need three times as many circles as you want to glue on. Step Three: Pick three of your circles. Fold them in half. Glue the back halves of each circle. Press two of the circle halves together, sandwiching the twine in between them. Glue the final circle to the other halves. *To make sure you get a rainbow effect, keep switching the combination of three colors. Step Four: Find a spot that needs some cheer. Hang over a headboard, around a curtain rod, from a door frame, or lay across a table to surround yourself in rainbows. 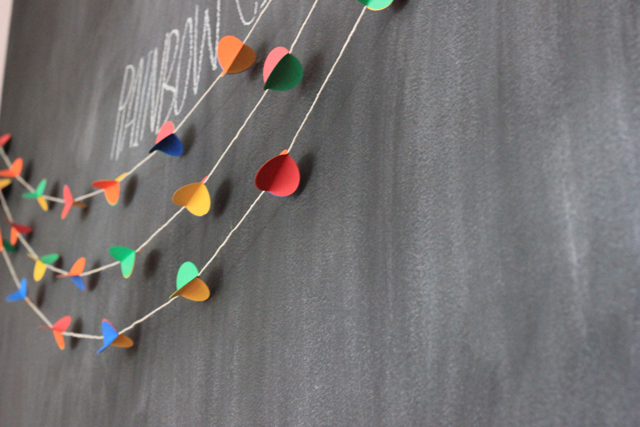 Garlands spread festivity, don't you think?